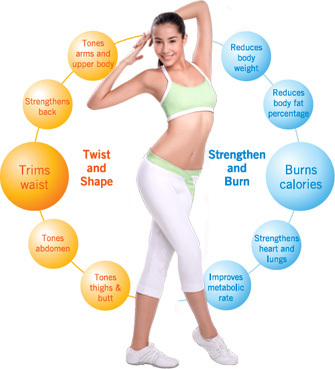 Moving with a hula hoop burn as many calories per minute as step aerobics or fast walking, according to a recent study. The researchers let 16 women between 16 and 59 years for half an hour exercise with a hula hoop around their waist, arms and legs. After two sessions, so that the volunteers were accustomed to the new routine, their heart rate and respiration were measured. This shows that the heart rate of the participants was on average 84 percent higher than what is normal for their age. The ladies burned about 7 calories per minute, which adds up to 210 in a half-hour lesson.